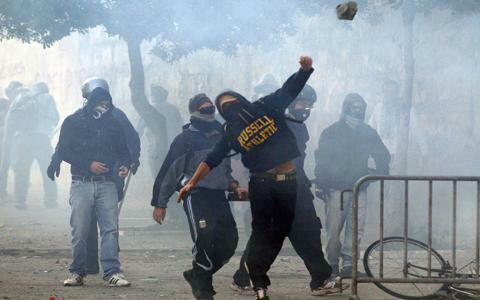 A demonstrator throws a stone during a demonstration of the 'Indignant' group in Rome October 15, 2011. Protesters worldwide geared up for a cry of rage on Saturday against bankers, financiers and politicians they accuse of ruining global economies and condemning millions to poverty and hardship through greed. They plan to take to the streets from Sydney to Alaska via London, Frankfurt, Washington and New York. Police in New York arrested more than 70 protesters Saturday, including dozens in Times Square, as part of a month-long global demonstration against what protesters call corporate greed. Police in riot gear, and others on horses tried to push protesters out of the square. The protest was just one of several throughout the United States and across the world Saturday inspired by the Occupy Wall Street movement. Filmmaker Michael Moore told VOA he took part in the Wall Street demonstration to show solidarity with the protesters making a statement against corporate America. In Rome, police fired tear gas and water cannons when a small number of the hundreds of protesters filling the streets broke away from the main group and began smashing windows and lighting fires. Police presence is heavy in the Italian capital. In London, scuffles broke out between police and protesters among the hundreds gathered near St. Paul’s Cathedral. Demonstrations also took place in many other countries, including Australia, New Zealand, Spain, Germany and France, where members of the Group of 20 financial powers are meeting in Paris to discuss the European economic crisis. Many demonstrators are protesting inequality between the rich and poor, calling themselves “the 99 percent” in contrast to the “one percent” of people who they say account for most of the world’s wealth. Other causes the protesters espouse include abolishing capitalism, lowering college tuition and ending the wars in Iraq and Afghanistan. In Japan, small demonstrations were held Saturday that centered on ending the use of nuclear power. The Occupy Wall Street protest began on September 17 with a small group of activists accusing what they called “corporate America” of fostering a growing economic divide between the wealthy, and the poor and middle class. 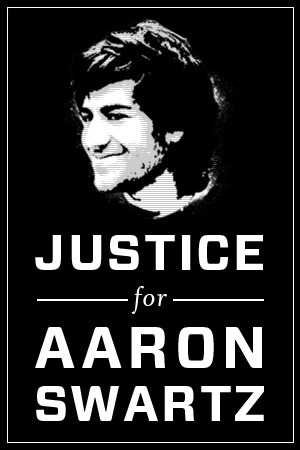 The movement has gathered momentum despite criticism that it lacks a central focus.